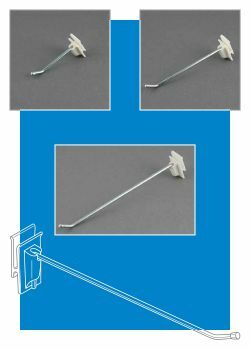 When you need metal hooks for power panels the No Sag line of display hooks is the right choice. Clip Strip Corp. is expert at producing display construction components for point of sale merchandising. 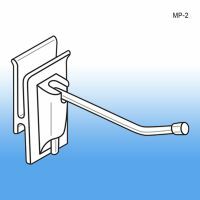 Minimum quantity for "2" No Sag™ Easy Remove Corrugated Power Panel Hooks - Metal, MP-2" is 25. 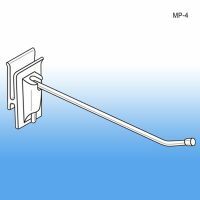 Minimum quantity for "4" No Sag™ Easy Remove Corrugated Power Panel Hooks - Metal, MP-4" is 25. 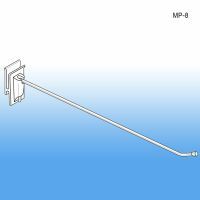 Minimum quantity for "6" No Sag™ Easy Remove Corrugated Power Panel Hooks - Metal, MP-6" is 25. 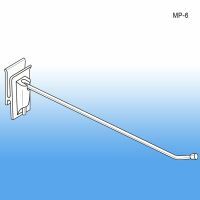 Minimum quantity for "8" No Sag™ Easy Remove Corrugated Power Panel Hooks - Metal, MP-8" is 25.